You Wanna See Pablo Sandoval's Big Spring Training Belly? 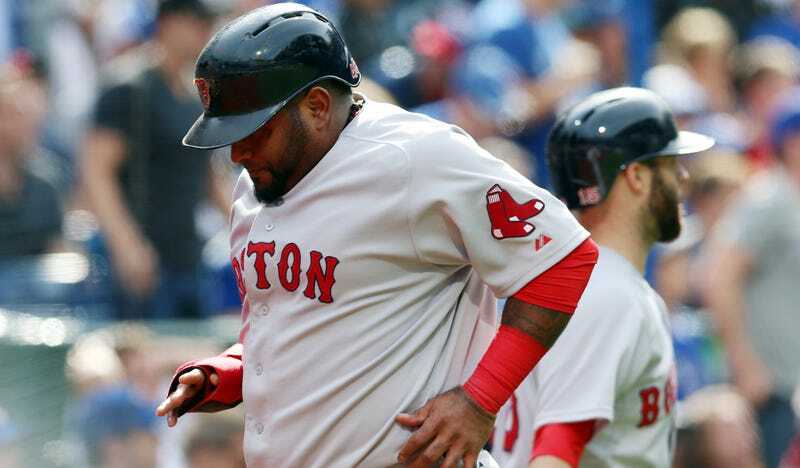 The belly above is the subject of a bit of offseason controversy, as Red Sox management allege that they asked Sandoval to lose weight, which he denies. Red Sox manager John Farrell said back in January that Sandoval lost 20 pounds over the offseason, but as the evidence bears out, that seems wrong. He has until April 4 to get himself into playing shape and earn some of those $95 million he signed for last year.